The key word in the new business world is connectivity, and the availability of advanced services and new communication abilities. Mobile is a very powerful platform. The change it brings with it created new business models, improved workers’ efficiency, and all that alongside the fun experience to private users. So, all we have to do now is deliver those messages. In the giant cellular marketing company Velti’s summer trends report of 2013, Israel was, not surprisingly, in first place. The report, based on the wide publicity platform of Velti that is connected to more than 33,500 popular apps, determined that Israel is the world leader In the daily time usage of apps, where an average adult spends about 80 minutes a day using mobile apps. Sweden, Singapore, and Denmark are in places 2-4 with more than 70 minutes a day (the USA is far behind with only 38 minutes a day). This data is not surprising if you put in mind the amount of smart phones in Israel, and the fact that Israelis rapidly adopt new technologies, in the cellular area in particular. According to Dr. Rafi Mann and Dr. Azi Lev-On, from the Communication school at the Academic center of Ariel, one of the main characteristics of communication consumption in Israel, like in most countries, is the growth in the use of mobile devices (smart phones and tablets). This growth accelerated the changes in our lives, in the way we consume news, find data, watch videos, entertain ourselves, make purchases, and more. Even though there are differences between the various polls, the conclusion is the same: In 2013 there was major growth in the purchase and use of smart phones in Israel. According to a TGI poll, 61.7% of all adults had at least one smart phone in 2012, and that number jumped to 66.3% in 2013. A research made by Our Mobile Planet in mid-2013 for Google, found that the high increase of smart phones in Israel was about 57%, compared to Germany (40%), France (42%) and Spain (55%). According to IDC Company, in 2013, 2.4 million smart phones were sold in Israel. Compared to 1.6 million in 2012, in that year 630,000 non-smart devices were sold as well. In an overall conclusion, 3 million cellular devices were sold in Israel, compared to only 2 million annual purchases in each of the previous years. The chip’s affordable price makes them a popular item that is not relegated to special privilege. According to Dr. Mann’s and Dr. Lev-On’s research, published in the 7eye, “Israel stands out in the extent of usage of the many possibilities that smart phones offer. According to an International poll made for Google, 93% of smart phone owners use their devices to surf the net. 86% use search engines, 84% use apps, 82% use maps, 77% manage their social media with them, 48% watch videos like Youtube, and 87% watch TV on their smart phones. 77% reported using their smart phone for these purposes even in their homes, 72% do so at work, and 50% while walking or traveling, and a bit more said they use their smart phone during social events and when dining out. In mid 2013, 2.7 million Israelis browsed online content and apps through their cells and tablets at least once a month, compared to 5/23 million who did that through their computers, a Market Watch study found. The ongoing move to smart phones and tablets this year has increased the extent of buying products and services through them. A poll that was conducted about the matter of making purchases through cell phones by Mastercard, showed that 63.4% of all questioned and 76.4% of questioned that were ages of 25-34, engaged in online shopping on their smart phones in the 6 months prior to the poll; 19% of them did so 7 times or more. The most common goods and services that people paid for on their smart phones were parking (36.8%), coupons (32.5%) and movie tickets (25%). 27/5% of those who didn’t shop via smart phones reported that they don’t do it because they prefer to pay in a different way, 25.8% mentioned that they didn’t do that out of privacy or security concerns, and 11.2% stated that it’s too complicated. To what app developers, content makers, and marketers have to pay attention to? Omer Miloiztky, digital strategist and blogger, says in his blog what we all know already: we are attached to our smart phones 24\7, get news updates, send email and messages, read, post social media twits, play games, and chat with friends and family through WhatsApp. Mobile is no longer just a means of communication, but a widely used and effective way of spreading content. According to Miloiztky, not only has the lower price made them more accessible, the main factor contributing to the rise of smart phone use is the abundance of apps available today. The average user spends about 127 minutes a day on the apps installed on their mobile device. This leaves the computer way behind. A. Mobile Gaming becomes stronger: Games are the biggest category in mobile apps today, and by far the most profitable for their developers. Just to give a clear and simple explanation, games of all categories comprise 70% of mobile app store profits. That data, together with the sheer abundance of games available and the rising tide of new ones, leads to a high percentage of abandonment by clients who get bored quickly and go on to find the next game to suit them. This means that the app developers and marketers need to invest more resources in areas other than just development, as once a game is successful, it’s often a ‘one hit’ success unless provided with engaging updates and effective ongoing promotion. For an example, see Rovio’s Angry Birds and many before that. B. Synergy between Mobile and Social: after games, the second most-installed app category is social media. 39% of all mobile consumers use at least one social app, like instagram and WhatsApp. C. The Mobile Portal potential: as opposed to regular websites, where we all know the wide range of content and information, in Mobile there is a gap thanks to the challenging screen size. It seems that in Mobile, the biggest commercial successes came from a brilliant cracking of a need or a simple use, but so far no one has developed a portal that includes all tools and services that are mobile-friendly. Precisely here there is an unexploited chance that leaves a lot for imagination and creativity. D. The fourth trend is less about content and more about how you show it – Multi Screen: Today, users consume their content upon many screens, sometimes simultaneously; we have the smart phone, the work computer, the tablet and sometimes even the TV. Today, the biggest challenge that app developers and content marketers are faced with is how, if at all, they fit to the multichannel culture. How to fit in and seamlessly combine every screen that has its own specific times of use during the day and physical characteristics of its control scene: touch screen in smart phones and tablets, keyboard and mouse in computers, remote to the TV and more. On one hand, users expect to receive a unified experience through all these screens; on the other hand, app and content developers are attempting to focus on the differing requirements of each platform while somehow still tailoring their software to work with it all. How ICT changes the Mobile Industry? The mobile industry is changing not only the industry as a whole, but the very way organizations function, and also their business models.  Simple UI and price advantages offered to the end consumer are making smart phones the future way of default communication and the main tool used to spread information in an organizational environment. The business change in organizations, due to the use of cell phones, has several reasons: low cost, wide strip, Wi-Fi approach and the processing power of a PC. All of those accelerate the realization of the promise of cell phones. This is a very powerful platform to information services. The change will create new business models and improve workers’ efficiency. And all that alongside the fun experience to private users. Both sectors, consumer and private, already make full use of smarter communication services, based on content flow like videos and the rapid transfer of online information. The key word in the new business world is connectivity, and the availability of advanced services and new communication abilities. All those have become an existential need, where companies invest in developing technologies that can offer easier to use services, simpler to operate and easy to provide, for millions of people who leave their computers for their smart phones. These enable, among a multitude of other potential uses, to manage and oversee field workers, generate business traffic, communicate with consumers, and streamline online purchasing. Three fields are tested today: the possibility of mobile work within the organizational frame, mobility in upcoming markets and the end-consumer’s experience in working with mobile devices. The emphasis is on analysis, privacy, security and navigation. According to estimations, a simple UI and price advantage offered to the end-consumer makes cell phones the exclusive means of communication and a main tool for passing information in an organizational environment. New tools and services for mobile devices offer business users a whole new level of mobility, for private and business use as one. They include products that offer business intelligent tools for work, collaboation, and infrastructure. Those apps and others that are installed on your smart phones help improve organizational productivity and helps companies save resources. That, alongside the improvement of general efficiency and worker satisfaction, will help them collaborate more and pass on content quickly and easily – even if their geographical location is oceans apart.